Copenhagen Malmö Port AB (CMP) operates the ports in Denmark's capital Copenhagen and in Sweden's third largest city, Malmö. The ports are located either side of Øresund, a strait between the two countries. The combined Øresund Region is the Nordic countries' largest metropolitan area in terms of population. The region is connected by the Øresund Bridge, which spans the strait at its southern end, and the HH Ferry route between Helsingør, Denmark and Helsingborg, Sweden. Most ships en route between the Baltic Sea and the North Sea/Atlantic pass through the ports, making the Øresund one of the world’s busiest sounds. The central location in the Øresund Region means that in a number of cases CMP acts as a hub for freight that is transported onward to the Baltic States, Russia and other parts of Northern Europe. In addition, CMP is a hub for intermediate storage of crude oil in the trade between Russia and countries including Australia and United States. CMP is located in the heart of the Øresund Region with almost four million consumers. The region is experiencing increasing integration between the Danish and Swedish areas. At the same time, the Region is the gateway to the entire Baltic Region with more than 100 million consumers. The Baltic Sea is one of the oldest and busiest trade routes, accounting for some 15% of the world's maritime transportation. Copenhagen Malmö Port is a Nordic company based in two countries – Sweden and Denmark. The company is owned by the By & Havn I/S Development Corporation (50%), Malmö City (27%) and private investors (23%). CMP is a Swedish-registered limited liability company (Aktiebolag). CMP was formed through a merger of Copenhagen Port and Malmö Port – two operations with a port and maritime history extending back to the Middle Ages. The merger took place in 2001, when the 16 kilometre long Öresund Bridge between Copenhagen and Malmö was completed and the task of integrating the Öresund Region got underway. CMP is one of Scandinavia's largest port operators, handling more than 15.6 million tonnes of freight in 2017. This is down from 15.7 million tonnes in 2016. CMP provides access to an infrastructure that ensures goods are processed quickly and safely. Operations include roll-on/roll-off – and container traffic, cruises, combi-traffic via rail, and oil and dry bulk terminals. CMP receives ships of all sizes and handles all types of freight, including consumer goods, grain, motor oil, vehicle fuel, cars, scrap metal and building materials. In its role as port operator, CMP unloads, loads and stores goods, but also works with different logistics services via road and rail. Every year the ports in Copenhagen and Malmö receive about 4,500 ships. CMP is the Nordic region’s largest car port, handling almost 304,000 cars during 2017. CMP has six car terminals covering a total of 800,000 square metres (8,600,000 sq ft) and four PDI centres to service them. Copenhagen is one of Europe's largest cruise destinations, that received around 849,000 passengers from 150 different countries in 2017. In recent years, both Copenhagen and CMP have received awards for their cruise operations: for example, winning "Europe's Leading Cruise Port" in four consecutive years between 2009 and 2012, and also "Best Turnaround Port Operations" 2015. Ferry and passenger services are also operated in both Copenhagen and Malmö. The major route is Copenhagen-Oslo. 762,000 passengers travelled between the two Nordic capitals during 2017. 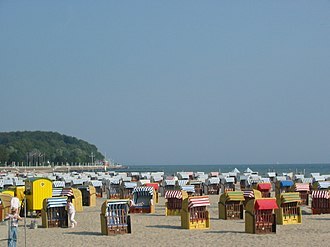 The other ferry line runs between Malmö and the German port of Travemünde with the number of passengers here amounting to around 95,000. Approximately SEK 2.5 billion has been invested in new logistics and infrastructure solutions in Copenhagen and Malmö between 2010 and 2014. The investments are in freight and passenger terminals, quay installations and machinery, cranes and other infrastructure. The largest project is Norra Hamnen (Northern Harbour) in Malmö, which was opened in autumn 2011. Three terminals have been built, quintupling CMP’s freight capacity. The expansion is one of the largest infrastructure projects ever completed in the city, covering an area of 250,000 square metres. In the next stage, Malmö City and CMP will be jointly establishing Malmö Industrial Park – a new industrial estate where companies within areas including manufacturing, processing and logistics services can establish themselves. The area is expected to be fully developed in the mid-2020s, at which time it will extend over 900,000 square metres. In 2016 work began on a new cruise terminal in Visby, which was opened in April 2018. In conjunction with Copenhagen Municipality and Malmö Municipality, investments are also being made in access roads and other infrastructure in connection to the ports. Further investments are also being planned in Malmö – which is the largest rail hub in Southern Sweden – in railway traffic in order to provide even more capacity. ^ a b "Milestones". cmport.com. Copenhagen Malmö Port. 1 November 2012. Retrieved 18 April 2016. ^ "Persons". cmport.com. Copenhagen Malmö Port. Retrieved 18 April 2016. ^ a b "EU Strategy for the Baltic Sea" (Transcript of video file). europa.eu. European Commission. Retrieved 18 April 2016. ^ a b c "Company profile". cmport.com. Copenhagen Malmö Port. 23 November 2011. Retrieved 18 April 2016. ^ a b "Ownership". cmport.com. Copenhagen Malmö Port. 2 February 2015. Retrieved 18 April 2016. ^ "Facts & Figures". cmport.com. Copenhagen Malmö Port. Retrieved 18 April 2016. ^ a b "Facts about the Ports" (PDF). visitcopenhagen.com. Wonderful Copenhagen. Retrieved 18 April 2016. ^ a b "Copenhagen Malmö Port Annual Report 2012". cmport.com. Copenhagen Malmö Port. Archived from the original (PDF) on 17 October 2016. Retrieved 18 April 2016. ^ a b "Copenhagen Malmö Port AB – your logistic partner" (PDF). Nordhavn / Copenhagen Malmö Port. Retrieved 18 April 2016. ^ "Ports of Copenhagen". visitcopenhagen.com. Wonderful Copenhagen. Retrieved 18 April 2016. ^ "Copenhagen named Europe's best cruise port". cmport.com. Copenhagen Malmö Port. 4 October 2011. Retrieved 18 April 2016. ^ "Yet another award for Copenhagen Malmö Port". cmport.com. Copenhagen Malmö Port. 23 September 2014. Retrieved 18 April 2016. ^ "Services". cmport.com. Copenhagen Malmö Port. 2012. Retrieved 18 April 2016. ^ "Ferries will soon be arriving in Norra Hamnen". cmport.com. Copenhagen Malmö Port. 1 March 2011. Retrieved 18 April 2016. ^ "Skanska reserves development site in Malmö Industrial Park". malmoindustrialpark.com. Malmö: Malmö Industrial Park. 9 October 2014. Retrieved 18 April 2016. The North Sea is a marginal sea of the Atlantic Ocean located between Great Britain, Germany, the Netherlands and France. An epeiric sea on the European continental shelf, it connects to the ocean through the English Channel in the south and it is more than 970 kilometres long and 580 kilometres wide, with an area of around 570,000 square kilometres. The North Sea has long been the site of important European shipping lanes as well as a major fishery, the North Sea was the centre of the Vikings rise. 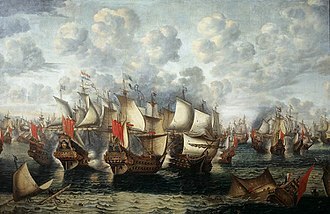 Subsequently, the Hanseatic League, the Netherlands, and the British each sought to dominate the North Sea and thus the access to the markets, as Germanys only outlet to the ocean, the North Sea continued to be strategically important through both World Wars. The coast of the North Sea presents a diversity of geological and geographical features, in the north, deep fjords and sheer cliffs mark the Norwegian and Scottish coastlines, whereas in the south it consists primarily of sandy beaches and wide mudflats. Due to the population, heavy industrialization, and intense use of the sea and area surrounding it. In the southwest, beyond the Straits of Dover, the North Sea becomes the English Channel connecting to the Atlantic Ocean, in the east, it connects to the Baltic Sea via the Skagerrak and Kattegat, narrow straits that separate Denmark from Norway and Sweden respectively. In the north it is bordered by the Shetland Islands, and connects with the Norwegian Sea, the North Sea is more than 970 kilometres long and 580 kilometres wide, with an area of 570,000 square kilometres and a volume of 54,000 cubic kilometres. Around the edges of the North Sea are sizeable islands and archipelagos, including Shetland, the North Sea receives freshwater from a number of European continental watersheds, as well as the British Isles. 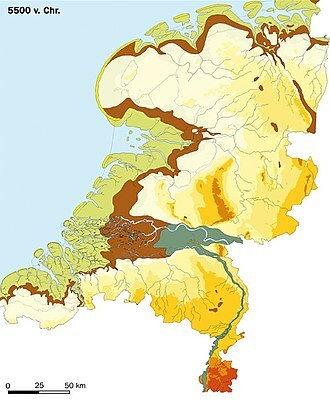 A large part of the European drainage basin empties into the North Sea including water from the Baltic Sea, the largest and most important rivers flowing into the North Sea are the Elbe and the Rhine – Meuse watershed. The Baltic Sea is a sea of the Atlantic Ocean, enclosed by Scandinavia, the Baltic countries, and the North European Plain. It includes the Gulf of Bothnia, the Bay of Bothnia, the Gulf of Finland, the Gulf of Riga, the sea stretches from 53°N to 66°N latitude and from 10°E to 30°E longitude. The Baltic Sea is connected by waterways to the White Sea via the White Sea Canal. 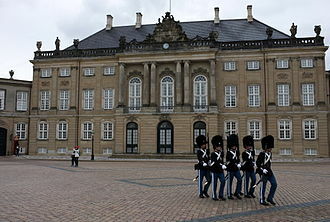 Traffic history Historically, the Kingdom of Denmark collected Sound Dues from ships at the border between the ocean and the land-locked Baltic Sea and they were collected in the Øresund at Kronborg castle near Helsingør, in the Great Belt at Nyborg. In the Little Belt, the site of intake was moved to Fredericia, the narrowest part of Little Belt is the Middelfart Sund near Middelfart. Oceanography Geographers widely agree that the physical border of the Baltic is a line drawn through the southern Danish islands, Drogden-Sill. The Drogden Sill is situated north of Køge Bugt and connects Dragør in the south of Copenhagen to Malmö, it is used by the Øresund Bridge, including the Drogden Tunnel. 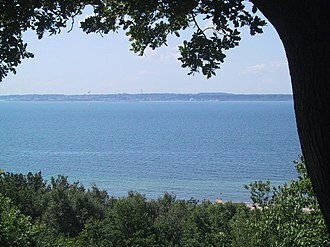 By this definition, the Danish Straits are part of the entrance, but the Bay of Mecklenburg, another usual border is the line between Falsterbo and Stevns Klint, Denmark, as this is the southern border of Øresund. Its the border between the shallow southern Øresund and notably deeper water and biology Drogden Sill sets a limit to Øresund and Darss Sill, and a limit to the Belt Sea. The shallow sills are obstacles to the flow of salt water from the Kattegat into the basins around Bornholm. The Kattegat and the southwestern Baltic Sea are well oxygenated and have a rich biology, the remainder of the Sea is brackish, poor in oxygen and in species. While Tacitus called it Mare Suebicum after the Germanic people called the Suebi, the origin of the latter name is speculative. Adam of Bremen himself compared the sea with a belt, stating that it is so named because it stretches through the land as a belt and he might have been influenced by the name of a legendary island mentioned in the Natural History of Pliny the Elder. Petroleum is a naturally occurring, yellow-to-black liquid found in geological formations beneath the Earths surface, which is commonly refined into various types of fuels. Components of petroleum are separated using a technique called fractional distillation and it consists of hydrocarbons of various molecular weights and other organic compounds. The name petroleum covers both naturally occurring unprocessed crude oil and petroleum products that are made up of refined crude oil. A fossil fuel, petroleum is formed when large quantities of dead organisms, usually zooplankton and algae, are buried underneath sedimentary rock, Petroleum has mostly been recovered by oil drilling. Drilling is carried out studies of structural geology, sedimentary basin analysis. Petroleum is used in manufacturing a variety of materials. Concern over the depletion of the earths finite reserves of oil, the burning of fossil fuels plays the major role in the current episode of global warming. The word petroleum comes from Greek, πέτρα for rocks and Greek, the term was found in 10th-century Old English sources. It was used in the treatise De Natura Fossilium, published in 1546 by the German mineralogist Georg Bauer, Petroleum, in one form or another, has been used since ancient times, and is now important across society, including in economy and technology. 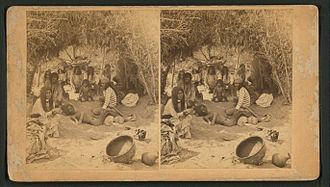 Great quantities of it were found on the banks of the river Issus, ancient Persian tablets indicate the medicinal and lighting uses of petroleum in the upper levels of their society. By 347 AD, oil was produced from bamboo-drilled wells in China, early British explorers to Myanmar documented a flourishing oil extraction industry based in Yenangyaung that, in 1795, had hundreds of hand-dug wells under production. The mythological origins of the oil fields at Yenangyaung, and its hereditary monopoly control by 24 families, Pechelbronn is said to be the first European site where petroleum has been explored and used. The still active Erdpechquelle, a spring where petroleum appears mixed with water has been used since 1498, Oil sands have been mined since the 18th century. Kockums AB is a shipyard in Malmö, owned by the Swedish defence company Saab Group. While having a history of vessel construction, Kockums most renowned activity is the fabrication of military corvettes and submarines. It competed with other concepts, including Norways Skjold class. Prior to 1999, Kockums was controlled by the Swedish state through the company Svenska Varv AB, having implemented a highly advanced variety of the Stirling engine for low noise submarine propulsion, Kockums was considered to have strategic value for the Swedish Navy. However, in 1999, Kockums main competitor on the submarine market, in 2005, HDW was bought by the German industrial conglomerate Thyssen Krupp. The time after 1999 was beridden with conflicts between Kockums only Swedish customer, the Defence Materiel Administration, and Kockums German owners. The Swedish view was that the advancements made in collaboration between Kockums and FMV ought to be used to create a new generation of submarine for lucrative export. On the German side, the A26 project was said to be regarded as a project that could lead to uncontrollably growing costs. Superficially, the source of conflict seemed to be that neither ThyssenKrupp nor FMV would accept carrying unforeseen development costs. 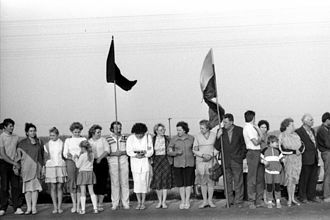 As several technical innovations to be implemented in the A26 were kept in classified status at the FMV and this deadlock persisted for months until the FMV decided to cancel the order of the A26 submarines. Globally, the conflict concerned the general business strategy, ThyssenKrupp insisted that Kockums ought to discontinue large submarine construction and to focus on the development of small submarines. Meanwhile, anonymous sources from inside Kockums claimed that ThyssenKrupps goal in acquiring Kockums was never to reach synergies with HDW, when the Crimea crisis erupted in March 2014, Swedens defence interests in the future of Kockums came under closer scrutiny. The turning point was described by the chairman of the Swedish parliaments Standing Committee on Defense, Peter Hultquist, in the search for a partner to develop the next generation of submarines, the FMV approached the SAAB Group. The krona has been the currency of Sweden since 1873. Both the ISO code SEK and currency sign kr are in use, the former precedes or follows the value. In English, the currency is referred to as the Swedish crown. The Swedish krona was the 11th most traded currency in the world by value in April 2013, one krona is subdivided into 100 öre. However, all öre coins have been discontinued as of 30 September 2010, goods can still be priced in öre, but all sums are rounded to the nearest krona when paying with cash. The introduction of the krona, which replaced at par the riksdaler, was a result of the Scandinavian Monetary Union, which came into effect in 1876 and lasted until the beginning of World War I. The parties to the union were the Scandinavian countries, where the name was krona in Sweden and krone in Denmark and Norway, the three currencies were on the gold standard, with the krona/krone defined as 1⁄2480 of a kilogram of pure gold. After dissolution of the union in August 1914, Denmark. On 11 September 2012, the Riksbank announced a new series of coins with new sizes to replace the 1 and 5 kronor coins which arrived in October 2016. 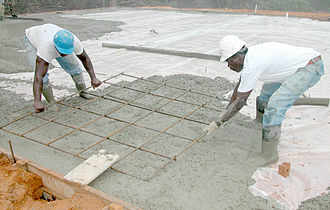 Building material is any material which is used for construction purposes. 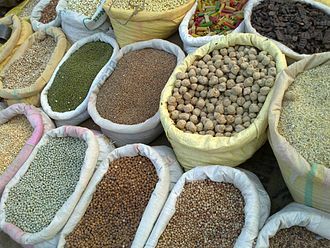 Many naturally occurring substances, such as clay, sand, apart from naturally occurring materials, many man-made products are in use, some more and some less synthetic. They provide the make-up of habitats and structures including homes and these trends tend to increase the initial and long term economic, ecological and social costs of building materials. The initial economic cost of building materials is the purchase price and this is often what governs decision making about what materials to use. Sometimes people take into consideration the energy savings or durability of the materials, for example, an asphalt shingle roof costs less than a metal roof to install, but the metal roof will last longer so the lifetime cost is less per year. Some materials may require more care than others, maintaining costs specific to some materials may influence the final decision. Risks when considering lifetime cost of a material is if the building is damaged such as by fire or wind, the cost of materials should be taken into consideration to bear the risk to buy combustive materials to enlarge the lifetime. It is said that, if it must be done, it must be done well, pollution costs can be macro and micro. 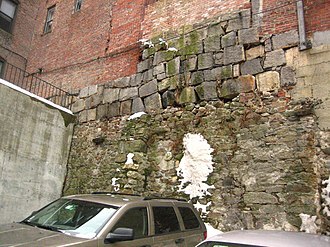 An example of the aspect of pollution is the off-gassing of the building materials in the building or indoor air pollution. Red List building materials are found to be harmful. Also the carbon footprint, the set of greenhouse gas emissions produced in the life of the material. A life-cycle analysis includes the reuse, recycling, or disposal of construction waste, two concepts in building which account for the ecological economics of building materials are green building and sustainable development. Initial energy costs include the amount of energy consumed to produce, the long term energy cost is the economic and social costs of continuing to produce and deliver energy to the building for its use and eventual removal. The initial embodied energy of a structure is the energy consumed to extract, deliver, social costs are injury and health of the people producing and transporting the materials and potential health problems of the building occupants if there are problems with the building biology. Ferrous metals are able to be recycled, with steel being one of the most recycled materials in the world. Ferrous metals contain a percentage of iron and the addition of carbon. In the United States, steel containers, automobiles, appliances, a typical appliance is about 75% steel by weight and automobiles are about 65% steel and iron. The steel industry has been actively recycling for more than 150 years and it is cheaper to recycle steel than to mine iron ore and manipulate it through the production process to form new steel. Steel does not lose any of its inherent physical properties during the recycling process, the energy saved by recycling reduces the annual energy consumption of the industry by about 75%, which is enough to power eighteen million homes for one year. Basic oxygen steelmaking uses 25–35% recycled steel to make new steel, EAF steelmaking uses almost 100% recycled steel. This steel contains greater concentrations of elements that cannot be removed through the application of oxygen. In geography, a sound is a large sea or ocean inlet larger than a bay, deeper than a bight, and wider than a fjord, or a narrow sea or ocean channel between two bodies of land. 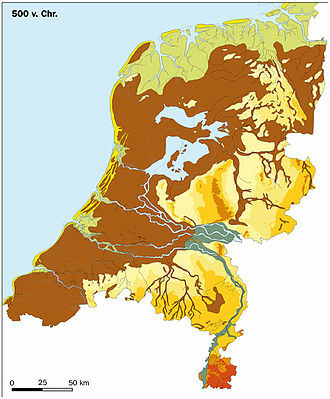 There is little consistency in the use of sound in English-language place names, a sound is often formed by the seas flooding a river valley. This produces a long inlet where the sloping valley hillsides descend to sea-level, the Marlborough Sounds in New Zealand are a good example of this type of formation. Sometimes a sound is produced by a glaciers carving out a valley on a coast receding, the glacier produces a sound that often has steep, near vertical sides that extend deep under water. The sea floor is flat and deeper at the landward end than the seaward end. This type of sound is more properly termed a fjord, the sounds in Fiordland, New Zealand, have been formed this way. A sound generally connotes a protected anchorage, in the more general northern European usage, a sound is a strait or the most narrow part of a strait. In Scandinavia and around the Baltic Sea, there are more than a hundred straits named Sund and it is a colloquial short name, among others, for Plymouth Sound, England. Pamlico Sound is a lagoon that lies between North Carolina and its barrier beaches, the Outer Banks, in a similar situation. The Mississippi Sound separates the Gulf of Mexico from the mainland, along much of the coasts of Alabama. On the West Coast, Puget Sound, by contrast, is an arm of the ocean. The term sound is derived from the Anglo-Saxon or Old Norse word sund, the word sund is already documented in Old Norse and Old English as meaning gap. This suggests a relation to verbs meaning to separate, such as absondern and aussondern, söndra, sondre, as well as the English noun sin, German Sünde, English has the adjective asunder and the noun sundry, and Swedish has the adjective sönder. In Swedish and in both Norwegian languages, sund is the term for any strait. In Swedish and Nynorsk, it is part of names worldwide, such as in Swedish Berings sund and Gibraltar sund. The HH Ferry route is a very old shipping route which connects Elsinore at Zealand and Helsingborg, Sweden across the northern, and narrowest part of the Øresund. Due to the distance of less than 3 nautical miles, it is one of the worlds busiest international car ferry routes. The route has been used in times, the oldest known mentioning in text originates from the German traveller Adam of Bremen in the Eleventh Century. Before 1658 it was a Danish domestic route and only thereafter did the route become international, for several centuries has the route been run by Danish shipping lines. The route is served by car ferry shipping line Scandlines. Scandlines ferries operate more than 70 daily departures from each port, every 15 minutes for most of the day, as the distance between Denmark and Sweden here only is around 2.5 nautical miles, the crossing time is just 20 minutes. While Sundbusserne, currently departs every hour with their only bus, Scandlines uses four ferries, MF Tycho Brahe, MS Aurora, MF Hamlet and MF Mercandia IV. The M/F Mercandia VIII is available and used during the maintenance of the other ferries. The three first mentioned ferries are sister ships and were tailored for this short route and they use dual command bridges and lack natural prows and sterns and hence never need to turn. Aurora and Tycho Brahe are rather low. The Mercandia IV and Mercandia VIII sister ships were not built especially for this route, being vessels of the so-called Superflex type. As the bridge is located in the middle of the ship, although Mercandia IV and Mercandia VIII look very different from the other three ferries, all five ferries fit within the same category, which allows fastest possible return time. The crossing takes 20 minutes and the only need 10 minutes in port so the same ferry regularly departs from both ends of the route inside every hour. 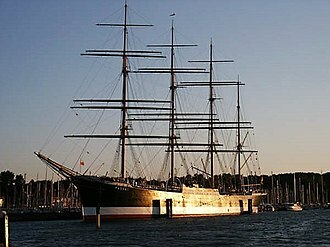 Sundbusserne currently uses only the Pernille, a boat for around 200 passengers. A smaller bar is located at its prow and astern two decks are available for passengers, all Scandlines vessels have cafeterias, bars and Aurora has an additional a la carte restaurant. The Nordic countries or Nordics are a geographical and cultural region in Northern Europe and the North Atlantic, where they are most commonly known as Norden. They consist of Denmark, Iceland and Sweden, the population of the Nordic countries are mainly Scandinavian or Finnish, with Greenlandic Inuit and the Sami people as minorities. 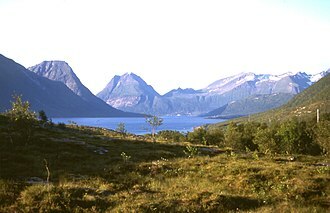 Of todays native languages, Danish, Icelandic, the non-Germanic languages spoken are Finnish and several Sami languages. The main religion is Lutheran Christianity, the Nordic countries have much in common in their way of life, their use of Scandinavian languages and social structure. Politically, Nordic countries do not form an entity. Especially in English, Scandinavia is sometimes used as a synonym for the Nordic countries, Scandinavian Peninsula on the other hand covers mainland Norway and Sweden as well as the northernmost part of Finland. At 3,425,804 square kilometers, the area of the Nordic countries would form the 7th-largest country in the world. Uninhabitable icecaps and glaciers comprise about half of area, mostly in Greenland. In January 2013, the region had a population of around 26 million people, the Nordic countries cluster near the top in numerous metrics of national performance, including education, economic competitiveness, civil liberties, quality of life, and human development. Although the area is linguistically heterogeneous, with three unrelated groups, the common linguistic heritage is one of the factors making up the Nordic identity. The North Germanic languages Danish and Swedish are considered mutually intelligible and these languages are taught in school throughout the Nordic countries. Swedish, for example, is a subject in Finnish schools. Danish is mandatory in Faroese and Greenlandic schools, as these states are a part of the Danish Realm. Iceland teaches Danish, since Iceland too was a part of the Danish Realm until 1918, there is a high degree of income redistribution and little social unrest. The Nordic countries consists of historical territories of the Scandinavian countries, areas that share a common history and it is meant unambiguously to refer to this larger group, since the term Scandinavia is narrower and sometimes ambiguous. Malmö, December 18, 1914. All three Scandinavian Kings on the same balcony. The Øresund strait between Malmö and Copenhagen with Malmö in the foreground and the island of Amager and part of southern Copenhagen in the background. One of Scandlines' three sister ferries. They never turn and hence lack distinct bow and stern. 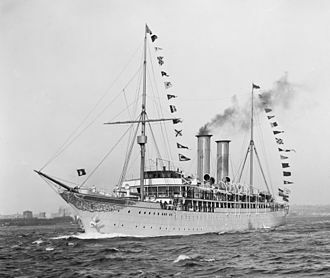 Prinzessin Victoria Luise was the first purpose-built cruise ship. Queen Elizabeth 2 was reinvented as a luxury ocean liner following the advent of the jet airliner. 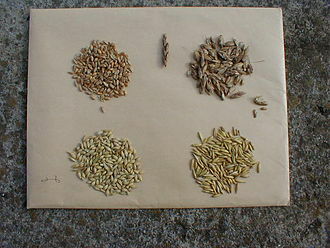 Cereal grain seeds from left to right: wheat, spelt, barley, oat. 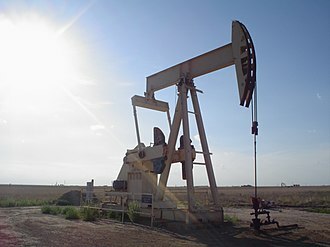 Pumpjack pumping an oil well near Lubbock, Texas. An oil refinery in Mina Al Ahmadi, Kuwait. Oil derrick in Okemah, Oklahoma, 1922. The crane in February 2000. A live oak on Knotts Island, North Carolina, overlooks the Currituck Sound.